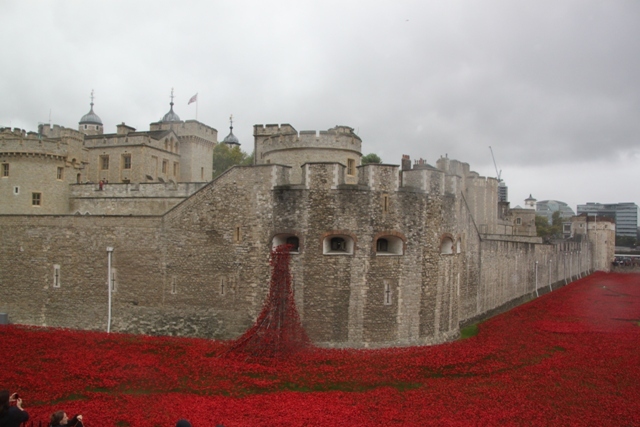 Pictures of the poppies at the Tower of London have been sweeping the internet. 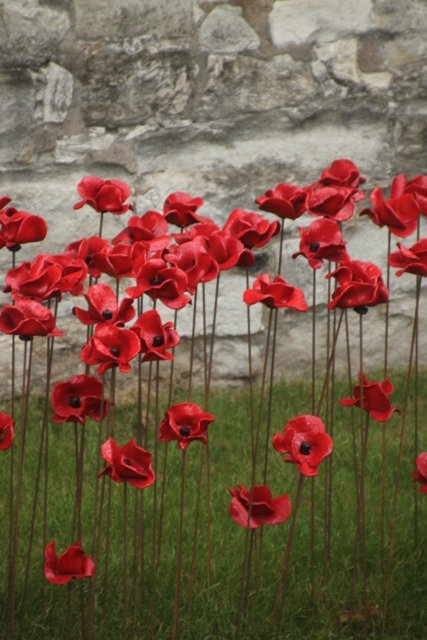 Having been to the war graves and World War 1 battlefields in Belgium during the summer and then helping plant memorial snowdrops in Manchester, we couldn’t not see the poppies and this visual commemoration of the World War 1 centenary. 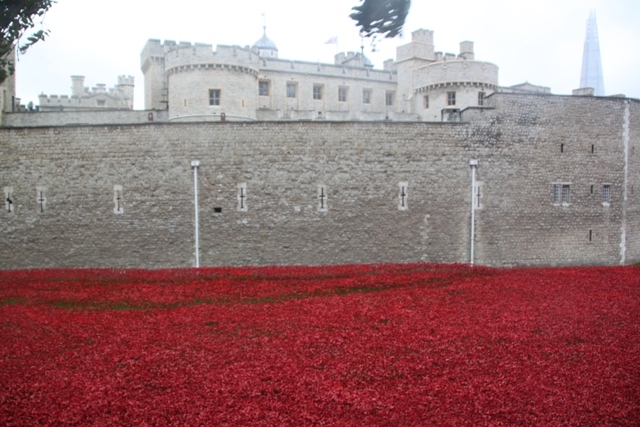 A rainy day with howling winds greeted us as we arrived in London, we headed straight to the Tower. 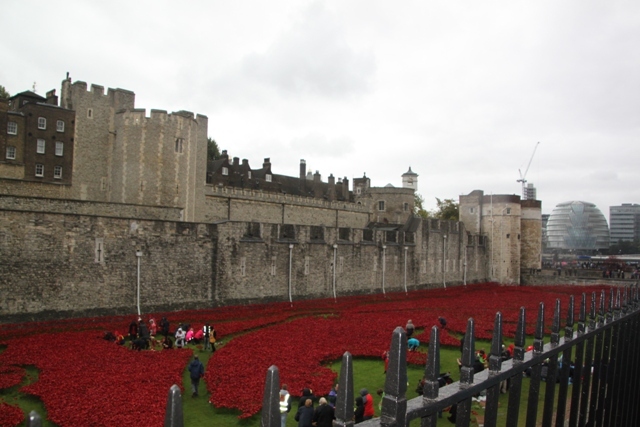 Everywhere was busy – people had come from all over to see this – it is easy to see why. 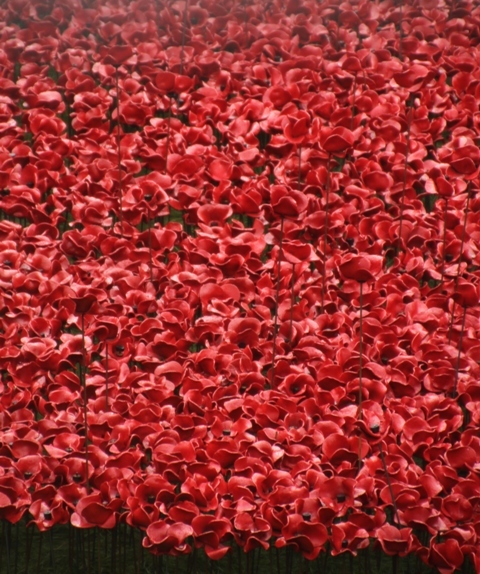 The red poppies stretch out before you – thousands and thousands of them, never-ending it seems. 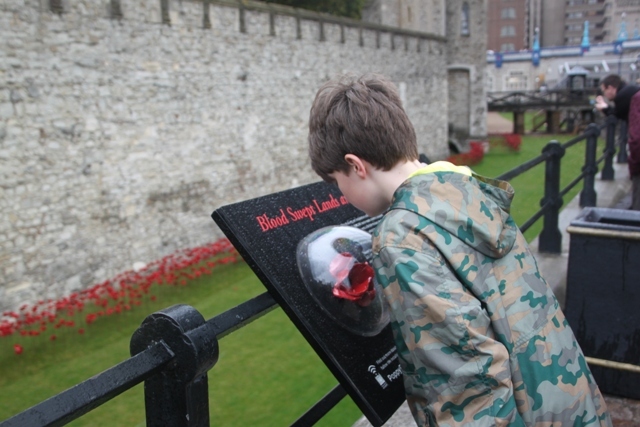 They bleed from the bastion window – designed to symbolise the infantrymen at the Somme. This is powerful imagery indeed. 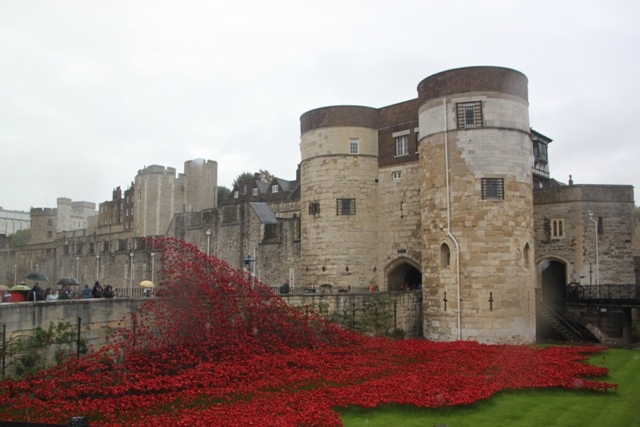 The moat is almost saturated with crimson – by 11 November (Armistice Day) it will be. 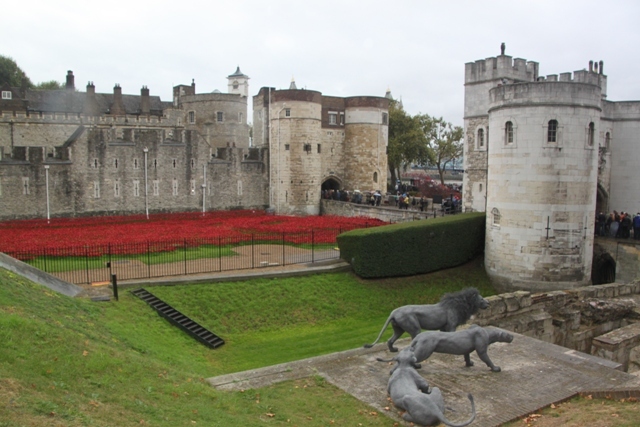 Volunteers will by then have planted 888,246 poppies here – one for every British soldier lost during 1914-1918. 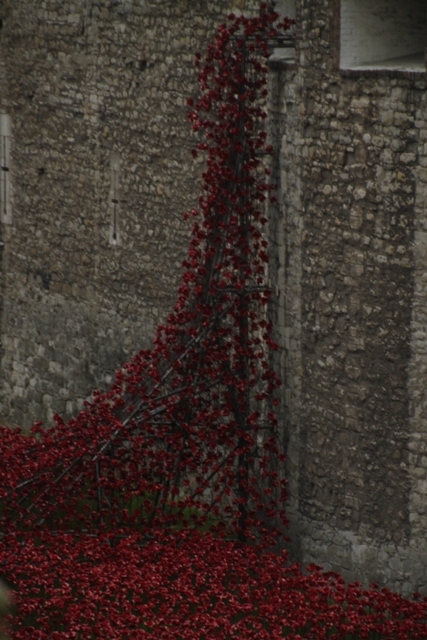 The numbers are sobering, the poppies and the sheer scale of them really hits home. 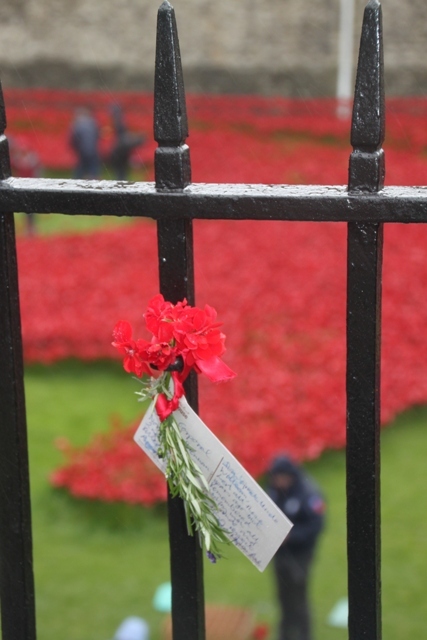 The name “Blood Swept Lands And Seas of Red” comes from a poem, written by a soldier who died in the trenches. It is very fitting. 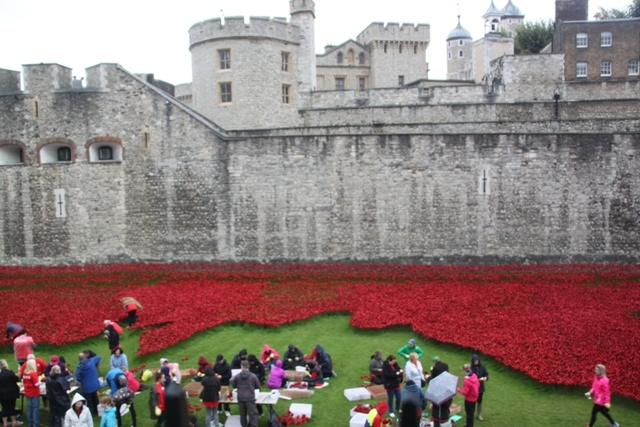 We watched the volunteers working steadily, planting the ceramic poppies and marvelled again at the scale. 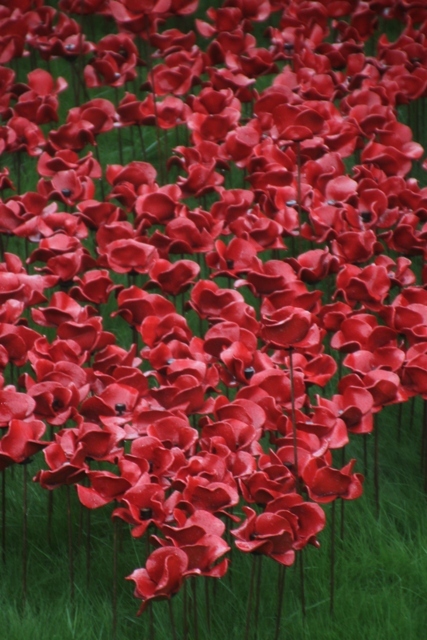 You can buy a poppy – for £25 one will be delivered in January with the proceeds being split between 6 service charities. 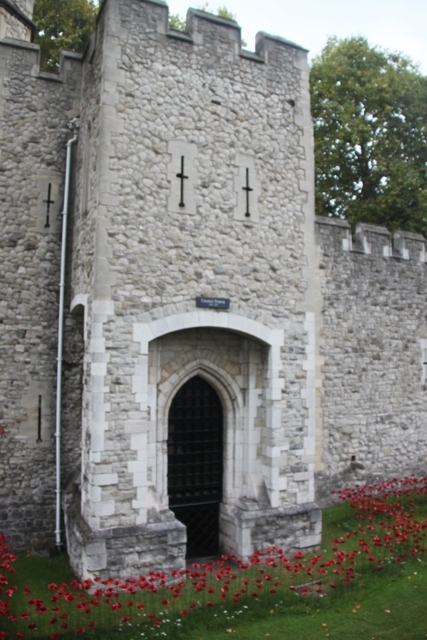 We walked around the perimeter of the Tower – looking, thinking, musing. 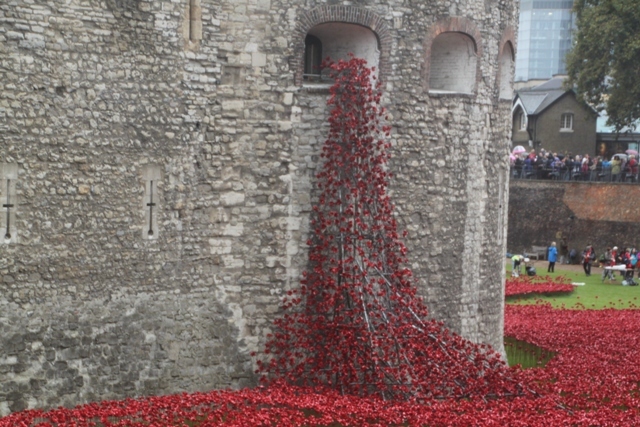 The weeping window is incredible and so is the wave over the causeway. 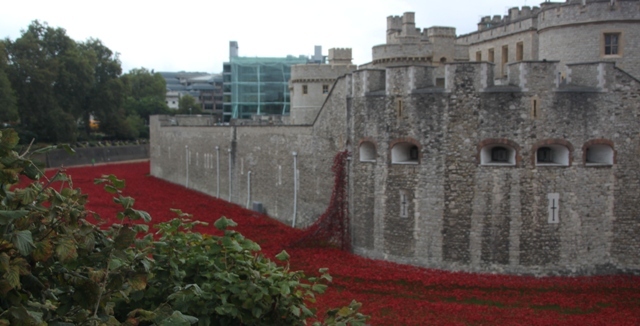 However I found it very poignant too in the areas where there are far fewer poppies. 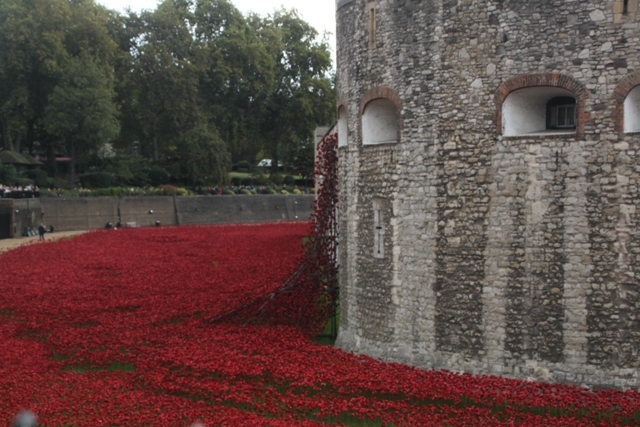 The poppies are different heights, we watched the taller ones sway in the wind. Gradually they will join up and by 11 November all the edges will be filled. 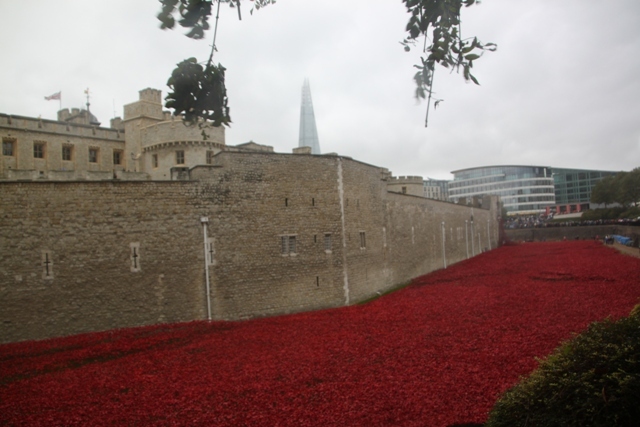 I read somewhere at that point, from on high, the round black roof of the White Tower will form the centre of the most dramatic poppy ever. 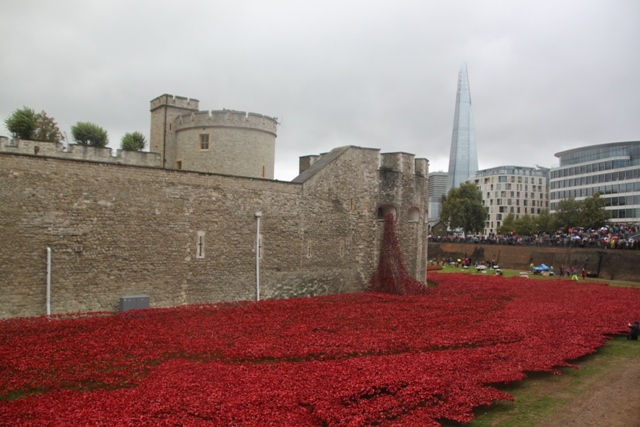 This is a beautiful and moving tribute. I am glad we saw it. Incredible photos. Such a tribute. It was a very special and beautiful thing to see!